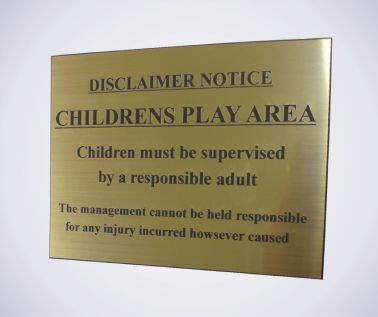 Children Play Area Notices - Bar Signs - Hotel Signs - Pub Signs - Res..
All text is engraved through the top laminate layer to expose a contrasting text colour. There are multiple colours to choose from including; White, Gold and Silver face with black text, or black face with Gold, Silver or White text. Signs complete with either screw holes or self adhesive backing, please select from the options tab.